Whether you got married last weekend, last year, or ten years ago – or if your wedding day is still a distant glint in the future – National Wedding Day is a fantastic excuse to relive, or look forward to, a gorgeous day filled with happy memories. Founded by our glorious patron George Watts, aka The Wedding Fairy, National Wedding Day will be taking place tomorrow, August 1st, and aims to raise much needed funds for the year’s chosen charity while allowing couples to celebrate their joyous wedding day. This year’s chosen charity is The Wedding Wishing Well Foundation, and we are thrilled and excited to be involved! So how can you take part in National Wedding Day? Well, in a similar vein to our selfless selfies campaign, we are asking you to take the ultimate wedding selfie; pop on that wedding dress, pull out your best suit, dust off the tiara, or raid your dressing up box for some stylish attire – whatever you wear, we want your selfie! 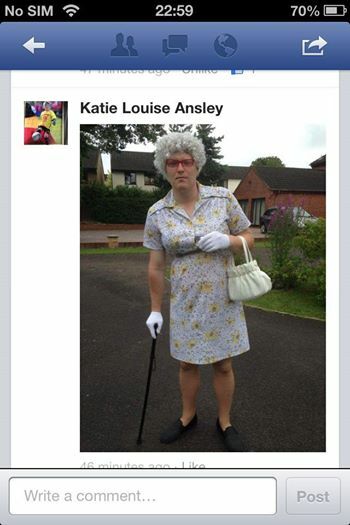 Simply send “WISH09 £2” to 70070, and share your selfies with us. Are you attending a wedding tomorrow? Even better! 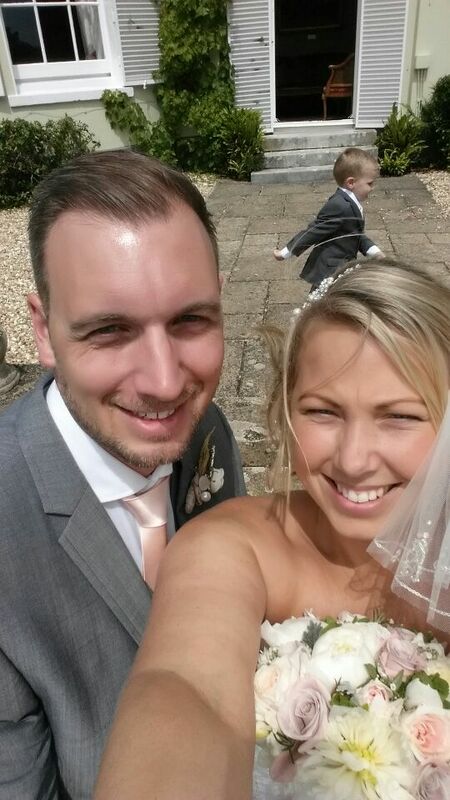 We’d love to see your Wedding Day Selfie. The Wedding Fairy’s National Wedding Day is such a fantastic idea. It’s a chance for everyone to get together and celebrate the fact that we do have freedom to marry especially this year now that its legal for all sexes to marry. Its also a chance to celebrate for those who are married whether that be last month or even 50 years ago that they tied the knot. 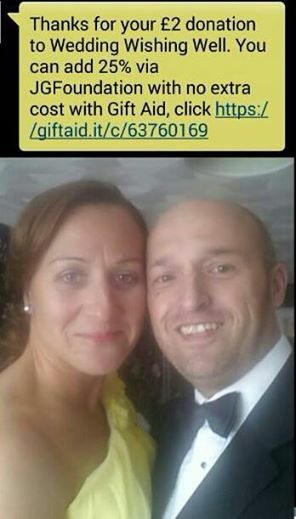 We are so grateful to George Watts AKA The Wedding Fairy who is also patron to our charity, to use The National Wedding Day to spread the word about our #WedWishSelfie Campaign. The campaign is a chance for those attending a wedding whether that be as the bride, groom , bridesmaids, guests, vicar or even suppliers to have a bit of fun whilst also donating money to our worthwhile cause. To share your wedding selfies, don’t forget to use the hashtag #wedwishselfie, while the hashtag #NWD14 ensures you can join in with all the fun of National Wedding Day; prepare for a day full of wedding fun for a great cause. 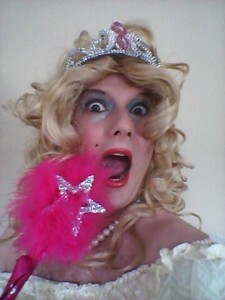 For more information please visit George aka The Wedding Fairy’s website here; We dare you not to be inspired by his fabulous wedding selfies! It’s that time again – we have been overwhelmed by the support we’ve been shown recently, and would like to share some fantastic achievements and upcoming events with you. Calling all quiz-fans; Walkabout in Exeter will be hosting a brilliant general knowledge quiz night next Friday, 25th July. Organised and hosted by the lovely Emma, the evening promises to be full of fun and trivia, with a percentage of money being donated to the Foundation. Pop in and try your luck, or have fun guessing! We would like to say a massive thank you to the stunning Jo Cooke of Curves and Couture Bridal, who will be shaving her hair off in aid of The Wedding Wishing Well Foundation. You can read Jo’s story here, and we really hope you’ll join us in supporting her as she makes this sacrifice – you can also donate via the website. We’d like to take this opportunity to thank Jemma Harrison for hosting a fantastic fundraiser for us recently. Her Tropic Pamper Event raised £378 for The Wedding Wishing Well Foundation, as well as offering a host of lovely ladies some truly relaxing treatments, and gorgeous products to buy – we can’t wait until the next one! 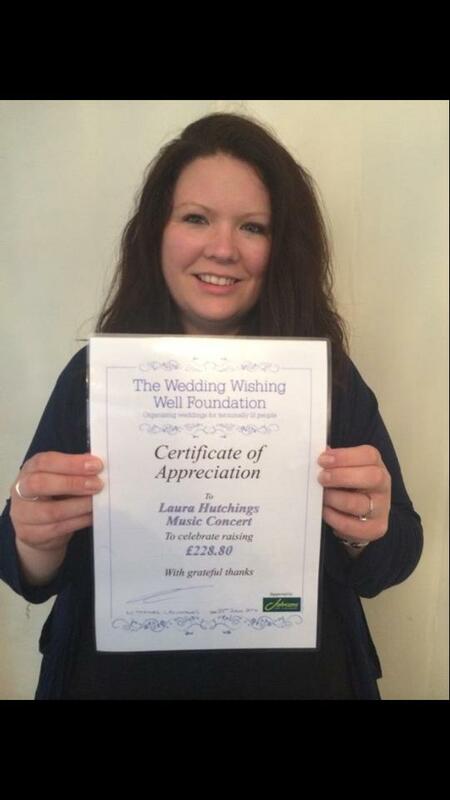 A massive thank you should also go out to our very own Laura Hutchings; her Music Holiday School orchestra performed a concert on 21st June and raised £228.80 for us – thank you to all involved, it was a brilliant evening. Thank you, My Summer Wish! Organised by London events agency Little red Napkin and lifestyle blogger Daniela Bonetto, this fabulous event was held in aid of the Wedding Wishing Well Foundation. While we have yet to tot up the amount raised, we are so excited to have been a part of it and will keep you all posted. A special mention should go to the lovely Keri Anne, who recently ran the Race for Life with Naomi’s name on her back; we love to see the different things that people have been doing to get behind Cancer Research and the similar organisations joining in the fight against cancer; together, we can beat it. If you’ve been inspired to raise a pound (or two) for The Wedding Wishing Well Foundation, please contact us on info@weddingwishingwell.org.uk – we love to hear about your fundraisers, and are thrilled that so many of you are interested in helping our special couples. You can help The Wedding Wishing Well Foundation simply by attending a wedding this summer – it’s that easy! Whether you’re the bride or groom, a member of the bridal party, or a supplier, don’t forget to take a wedding selfie this summer, sending it to us via the hashtag #wedwishselfie. 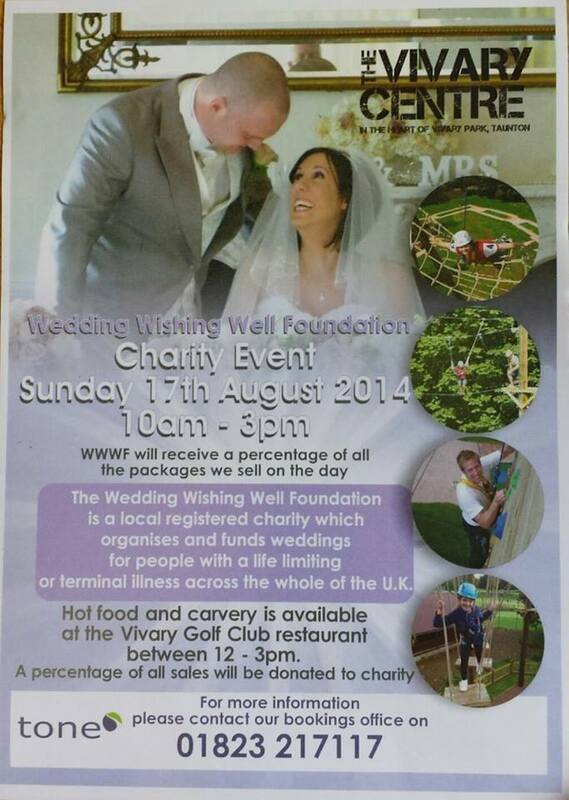 You can then make a donation straight to The Wedding Wishing Well Foundation by texting ‘WISH09 £2’ to 70070. A gallery of selfies can be found here. Yet another date for your diaries – phew, what a summer this is turning out to be! The 17th August sees a fantastic Family Fun Day, which is being held at the Vivary Centre, Taunton, between 10am and 3pm. If you live locally, or fancy a little day trip to this gorgeous corner of the world, then this event is for you! Featuring a bouncy castle, mini golf, face painting, hot food, and a carvery, the day promises to be filled with fun for all the family. The Vivary Centre is also home to the fantastic ‘Closer to the Edge‘, a series of low and high rope courses, totems, and climbing walls. There will be high rope hi-jinx throughout the day, with a percentage of all packages sold – as well as donations from the food purchased – going directly to The Wedding Wishing Well Foundation. If you have a head for heights, or fancy facing your fears for a good cause, there has never been a better time to take to the skies. For more information, please call 01823 217117. Here’s a date for your diary; 19th October 2014 is Great West Run Day, and we’d love to have you on board. You may recall us mentioning this fantastic fundraising event a little while ago – as the summer marches on, the time for training is drawing short. If you’d like to be considered for this half marathon, now is the time to register. The Great West Run covers 13.1 miles around the beautiful city of Exeter, allowing runners to do a little sightseeing as they go – we can’t imagine running in a nicer corner of the country. Please see The Great West Run‘s official website for further details, including entry cost, requirements, and a list of everything that participants receive; aside from a magnificent feel-good factor. If you’d like to join the Wedding Wishing Well Foundation’s team, please contact us on info@weddingwishingwell.org.uk – places are limited, so don’t delay! The lovely Alix Renshaw has already begun her training – you’ll be in fantastic company! Thank you, Alix, we wish you all the best as you prepare for this exciting event. If you would like to sponsor Alix, please follow this link. If you’ve yet to download, or read, Naomi’s beautiful book, No Ordinary Wedding Planner, then now is the perfect time to do so – it’ll make the ideal poolside companion as you relax on holiday. If you’re not jetting anywhere for a little summer sun, we strongly suggest downloading your copy to enjoy as you relax in the garden. It would be rude not to make the most of this weather, after all! No Ordinary Wedding Planner is currently enjoying a 5* star rating on Amazon, with 23 glowing reviews to inspire and entice you. When you’ve finished reading the book, please take a moment to leave a review of your own; we love reading them. If you don’t have a Kindle or e-reader, we have some fantastic news for you; No Ordinary Wedding Planner will be available in a paperback edition from 18th September 2014! This is, for the time being, a limited release, and so all paperbacks must be pre-ordered via retailers such as Amazon and Waterstones – the book will not be available in the shops as yet. We are incredibly excited about seeing Naomi’s book in print, though, and hope that even more people will be able to enjoy her incredible story – we’re hoping she may even sign a few copies! The response to The Wedding Wishing Well Foundation’s #wedwishselfie campaign has been phenomenal so far – we have had so many fantastic pictures sent in, as well as those wonderful donations, which really do make all the difference. Thank you for the wonderful words, everyone – we love to hear about the support our campaign has been getting! We are sure that many of you will be heading off to weddings in the coming weeks and months, so don’t forget to take your very own selfie. Whether you’re part of the happy couple, a member of the wedding party, or a supplier taking part in the nuptials and festivities, we want to see your pose. 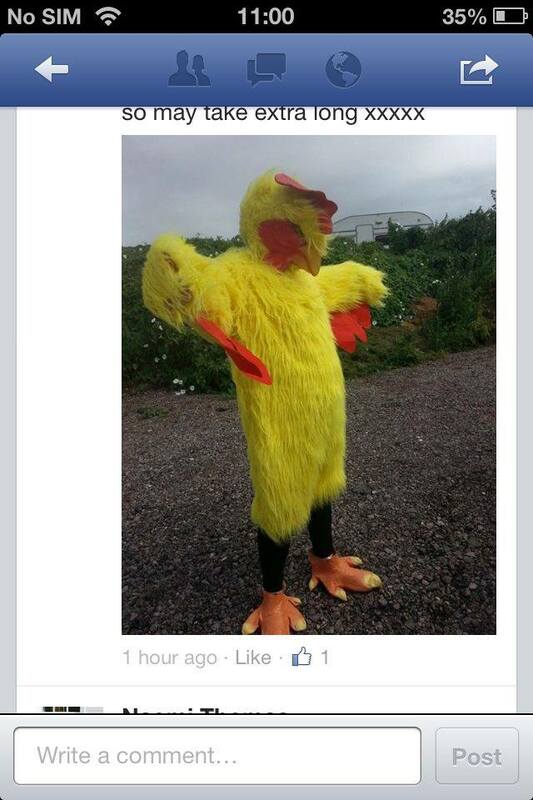 We’d even love to see some antics from hen and stag dos, so keep those selfies coming! In the meantime, here are a few more of your wonderful selfies! 2014 Johnsons Campaign Launch: Giving has never felt so good! Last year’s Wedding Amnesty, which was launched in association with Johnsons the Cleaners, was a resounding success – to say the least! Originally expected to run throughout the month of June the amnesty has now been going for a year and has, to date, received approximately 600 gowns – not to mention veils, accessories, shoes, bridesmaids dresses, suits, and mother of the bride outfits. We have been absolutely blown away by the generosity of the general public, and cannot thank Johnsons enough for engineering and supporting our campaign so readily. With last year’s success in mind, it is with great pleasure that we can announce the official launch of the Wedding Outfit Amnesty’s second year, again run with the support of Johnsons – here’s to another amazing year of donations, each one ensuring that we can continue to help couples affected by a terminal or life-limiting illness to experience the wedding day of their dreams. I have a wedding dress I’d like to donate – what should I do? The Wedding Outfit Amnesty is being launched across the UK in association with Johnsons the Cleaners – simply take your wedding dress to your nearest branch and they will ensure it reaches us safely. They’ll even dry clean your items for you, meaning that there is no need for you to fork out for this yourself. I don’t live in the South West – can I still donate my dress? As the Amnesty is being run across the UK it doesn’t matter where you live – whether you’re up in Scotland or across on the Isle of Wight, your dress is of equal important to us. Johnsons currently have over 320 branches across the country; please use their branch locator to find your nearest shop. Our furthest donation is currently on its way to us – all the way from America! You can read Kimberly’s story here. What will happen to my wedding dress once it has been donated? Once it has been cleaned and passed on to us your wedding gown will become a part of something very special, either by being donated and used by one of our brides directly, or by being sold in our very own Bridal Boutique. Every penny raised by La Boutique goes towards funding our couples’ weddings; your donation will make a difference to so many people. In addition to its very special Bridal Boutique in Exeter, The Wedding Wishing Well Foundation has also launched its own auction site, which will sell a plethora of wedding items, from dresses and veils, to shoes and other accessories. Please visit the auction site for more information – keep an eye out for your donated items. Who knows how much they’ll raise? My bridesmaids would like to donate their dresses too – do you only accept wedding gowns? Not at all! While wedding dresses have always been at the fore of the Wedding Outfit Amnesty, we are equally thrilled to accept veils and shoes, bridesmaids’ dresses, suits, accessories, mother of the bride outfits, and more – in fact, anything you’d like to pass on! For more information please email info@weddingwishingwell.org, or visit The Wedding Wishing Well Foundation and Johnsons the Cleaners. We can’t wait to hear from you!